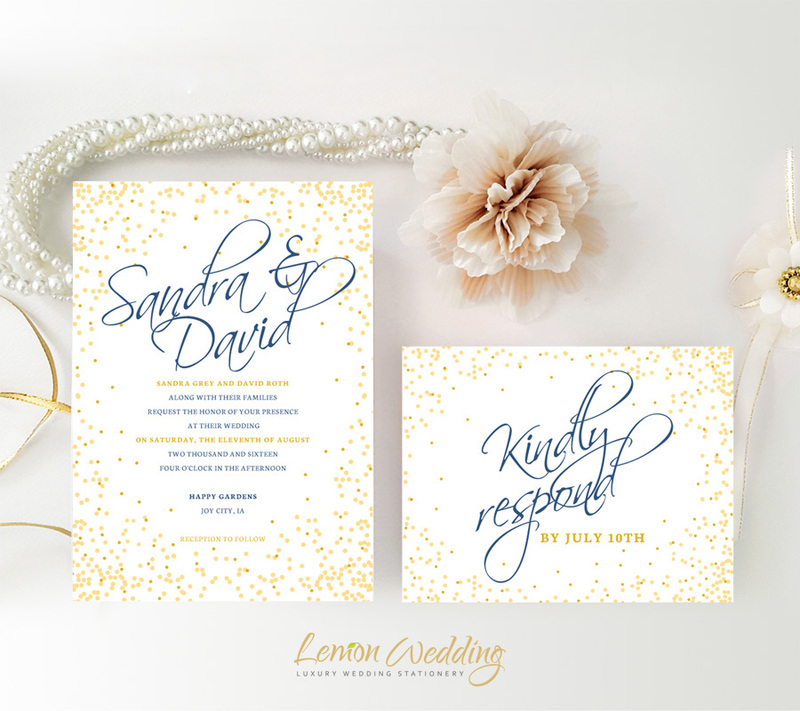 Before you say “I do” let your friends and family know all the intimate details of your big day with our Confetti Wedding Invitations Sets. 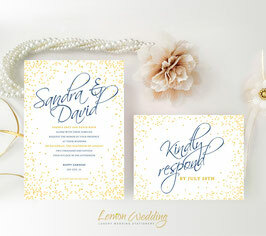 These classic, yet chic invites are the perfect complement for a glamourous themed wedding. 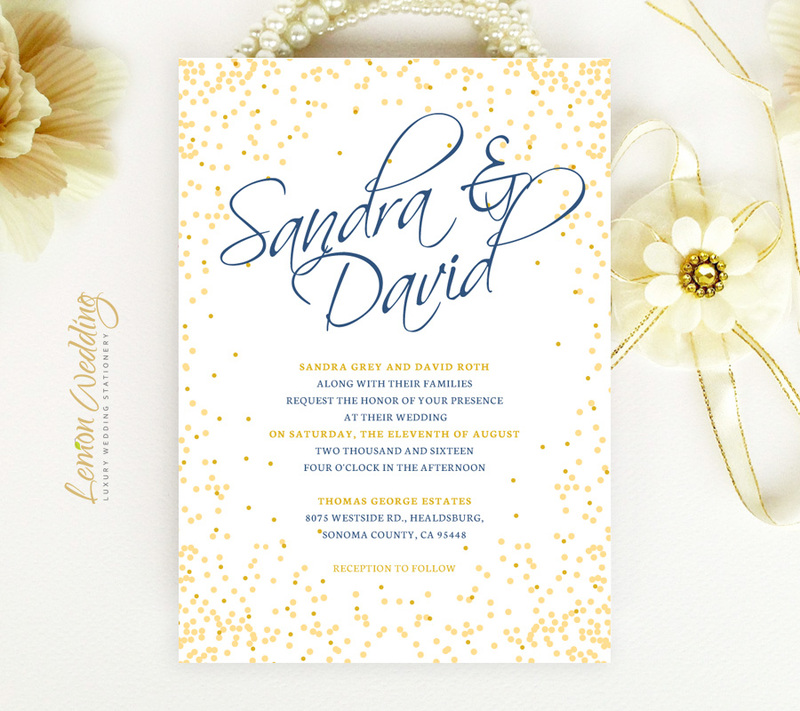 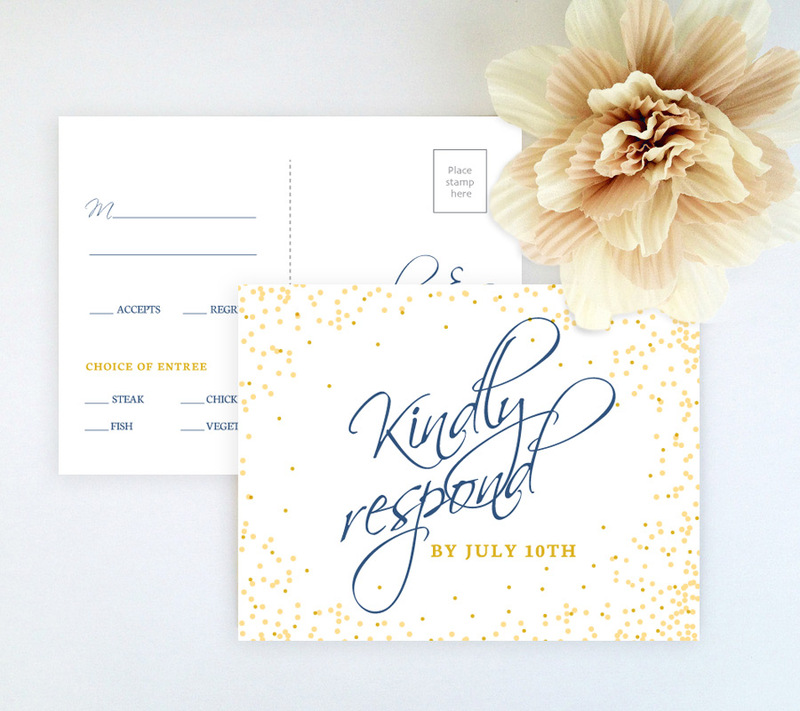 Printed on premium paper, our invite set includes an R.S.V.P postcard and wedding invite finished with gold confetti and a refined blue font.